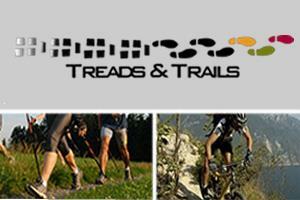 Treads & Trails at Treads and Trails07534 859614work Team building activityFor the more adventurous, Full day or overnight Treks, and Wilderness Camping trips. We endeavour to use trails and routes that are not so well known, in order to provide you with a unique experience. We also offer servicing of Ski's and Snowboards. A Rewarding and exciting time, either learning new skills, brushing up on what you already know, or taking yourself to the next level. We listen to what you want, and tailor make an activity package to suit. Regardless if you are with us for 1/2 a day or a few days, we aim to provide you with a satisfying, rewarding time that leaves you with a real sense of achievement, and motivation to continue experiencing all the amazing things the outdoors can offer. We try to challenge you, to push yourself that little bit further. It is dependant on group size, your requirements, where you would like to go, and activities you want to do.